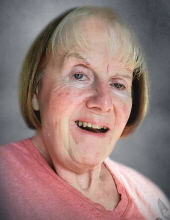 Colette “Coke” Kolstad, 70, passed away on Thursday January 24, 2019 after an over ten year battle with Alzheimer’s Disease. Coke was born in Eau Claire to the late Howard and Jacqueline (Stauber) Kolstad on November 10, 1948. She attended St. Joseph Academy High School in Green Bay and graduated from St. Norbert College in 1970. Colette began her teaching career in 1970 at the newly opened Edison Junior High and eventually taught, coached track, and served as Athletic Director at Preble High School until she retired in 2005. She impacted the lives of hundreds of students and student-athletes. An off-shoot of the rivalry between GB Preble and GB East led Coke to meet an East High Coach, Athletic Director Gerald "Jerry" Olbrich, who she married on August 14, 1993 at Old St. Joseph Church on the campus of St. Norbert College. Coke enjoyed spending time with family and friends, playing golf, and travel, especially trips to Italy and Greece. Coke was a lifetime Packers fan and especially monitored Bill Jartz to make sure he made no mistakes! She enjoyed being at Super Bowl XXXI watching the Packers win. Colette was an active member of Old St. Joe’s Parish and would volunteer wherever needed. Coke is survived by her loving husband and best friend Jerry; sisters, Jane (Daniel Seidl), Catherine (Mark Boyle); brothers, Peter (Patricia Flanigan) and John; sisters-in-law, Georgia (Richard Packer), many loving and supportive nieces and nephews and their families, and so many good and loyal friends, co-workers, and students. Colette was preceded in death by her parents; her in-laws, Zetta Olbrich Krock, Frank Olbrich, Ernest Krock; sisters-in-law, Patricia Kolstad and Evelyn Olbrich; brother-in-law, Ronald Olbrich and nephew Donald Olbrich. Jerry would like to thank those who were with Coke as she battled AD and were there at the end; all of the Home Instead Care Givers over the years, especially Carol, Jean, Maribel, and Alice; Curative Connections, especially Diane, Taylor, Barb, and Heidi; Unity Hospice, and Dr. Tracy Sherman for all their comfort, care and compassion. The family also thanks the OSJ Parish Community for their support in reinforcing her faith in God. In lieu of flowers, the family would appreciate if you would consider donating to the Alzheimer’s Association of Greater Green Bay Chapter (www.alz.org) in the name of “Team Coke." Visitation will be held on Saturday February 2, 2019 at Old St. Joe’s Church on St. Norbert College Campus from 9:00 am until 11:15 a.m. Mass of Christian Burial will be celebrated at 11:30 a.m. Saturday at the church with Father James Baraniak, O.Praem, officiating. There will be a reception following Mass. Ryan Funeral Home and Crematory is assisting the family with arrangements. Please visit www.ryanfh.com to send online condolences to the family. To send flowers or a remembrance gift to the family of Colette Kolstad, please visit our Tribute Store. "Email Address" would like to share the life celebration of Colette Kolstad. Click on the "link" to go to share a favorite memory or leave a condolence message for the family.